Simultaneously convert SDI to HDMI and HDMIto SDI in any SD or HD format all at the same time! Power Micro Converterfrom your laptop’s USB. Turn your HDMItelevision into an SDI monitor! 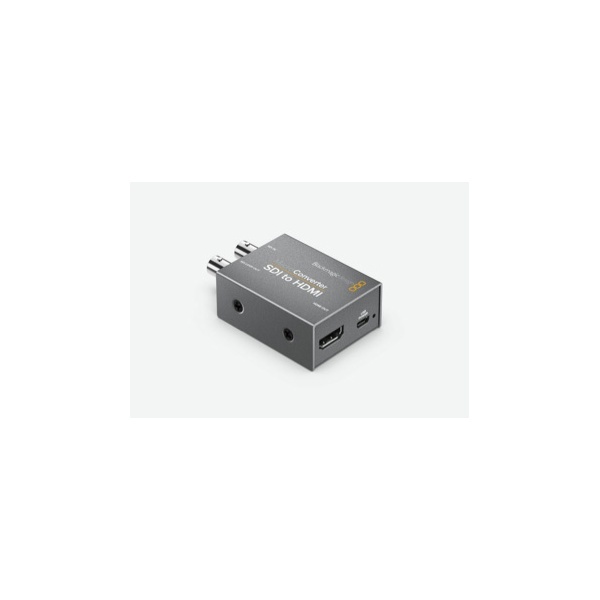 Even though they’re incredibly small, Blackmagic Micro Converters feature full size 3G‑SDI and HDMI connections! The SDI connections are multi-rate, making them compatible with SD and HD-SDI equipment. For maximum compatibility, micro converters support both level A and level B3G-SDI devices. Micro Converter SDI to HDMI also includes an SDI input loop through connection. 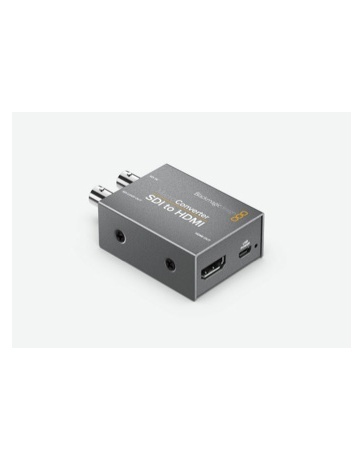 Micro Converter HDMI to SDI features two 3G-SDI outputs, so you can connect it to multiple devices such as switchers, routers, monitors and more!